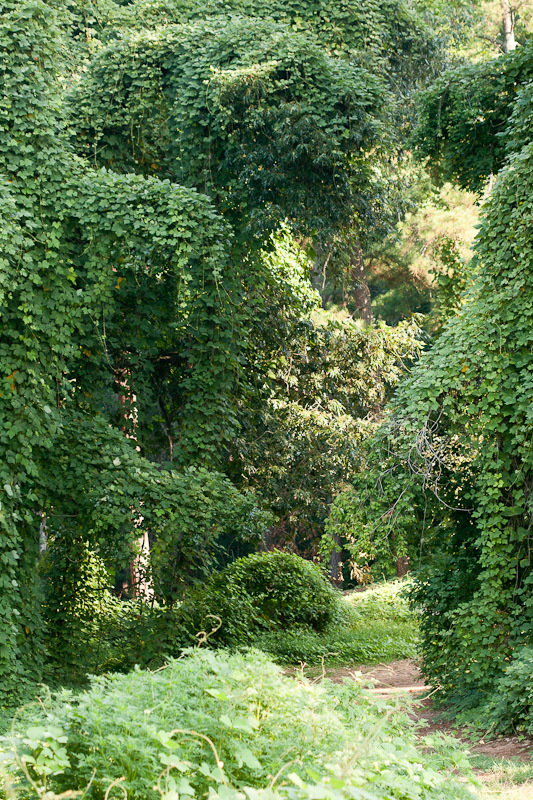 Just outside the entrance to my subdivision, there’s a stand of kudzu, Pueraria montana var. lobata, at the border of a city park. If you’re not familiar with kudzu, it’s a major invasive here in the Southeast that pretty much takes over wherever it manages to take root. Many of the volunteer outings with the local nature conservancy are focused on eliminating this invasive from conservancy lands. Here are a few photos of the area to give you an idea. While walking past this stand on my way to the park, I noticed several bugs crawling around on some of the large leaves. They piqued my attention, so I took a closer look. 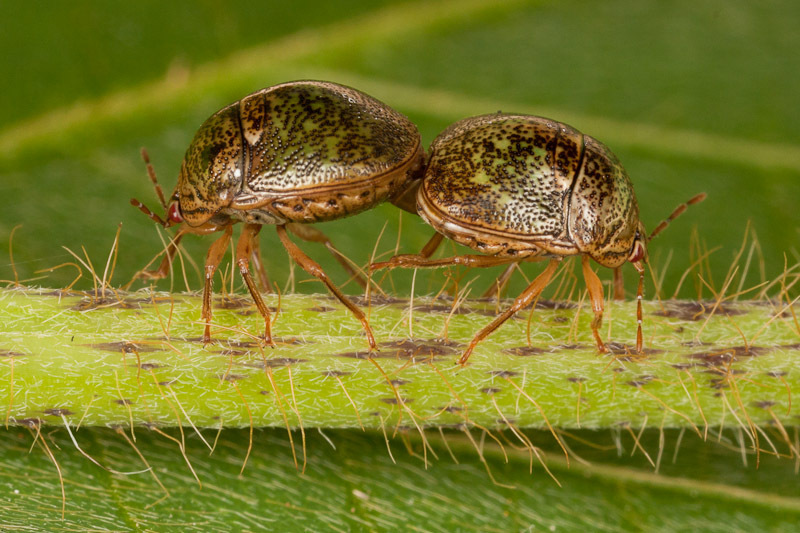 I recognized them as a new invasive species themselves that I had read about last year. 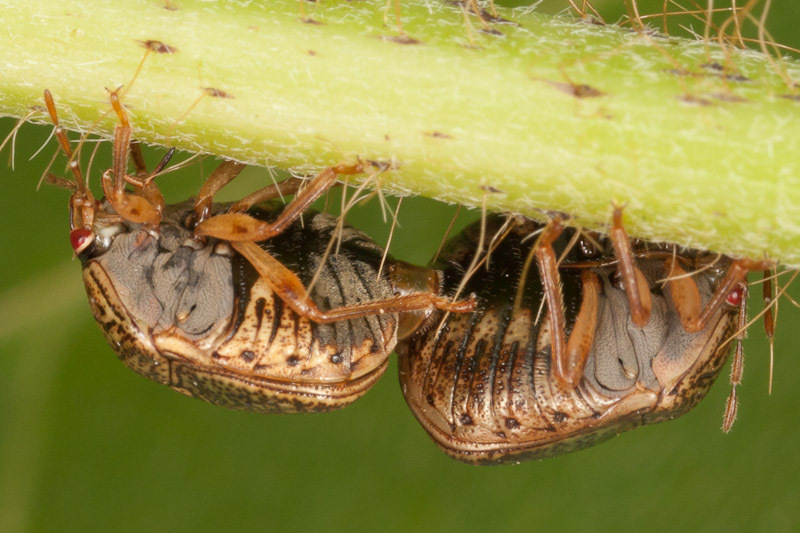 The adult bugs had gotten attention as they sought shelter from the coming winter in and around homes close to kudzu stands in an area about an hour from me. 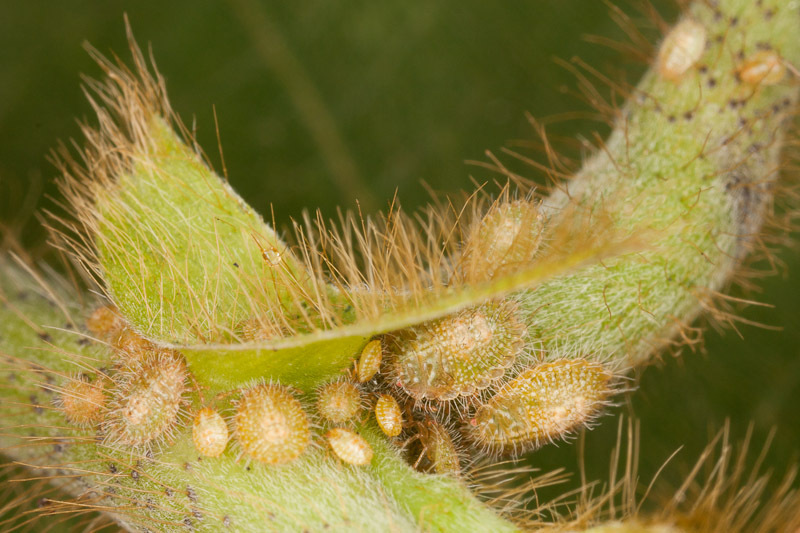 Taking a closer look inside the kudzu, you’d see something like this. Even if you don’t get close enough to see them, you can smell them from dozens of feet away. I returned later that evening to take some clippings home for some studio shots. The adults are quick to drop and take flight, but I snagged quite a few of those as well. Most of the egg batches I found were on new growth close to the vine. 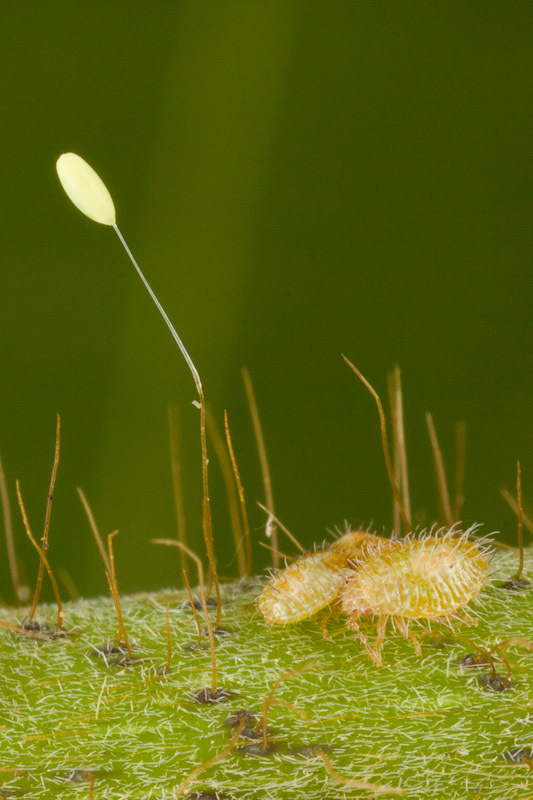 Here you can see some eggs on a budding leaf. The lighter colored eggs with their caps popped off are empty. The darker ones are on the verge of hatching. 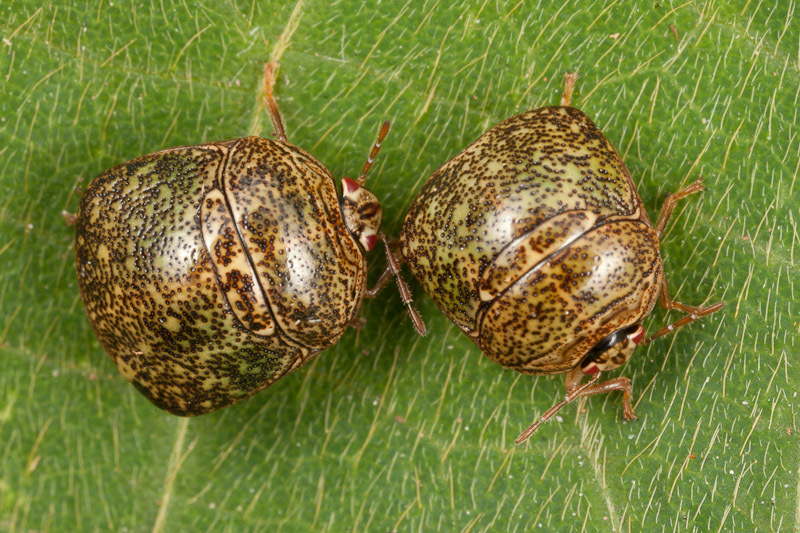 The nymph on the left is resting after emergence, and the other one is still working itself out of the egg. Above, the eggs have been neatly arranged in two rows. That was the common pattern, but there were exceptions. 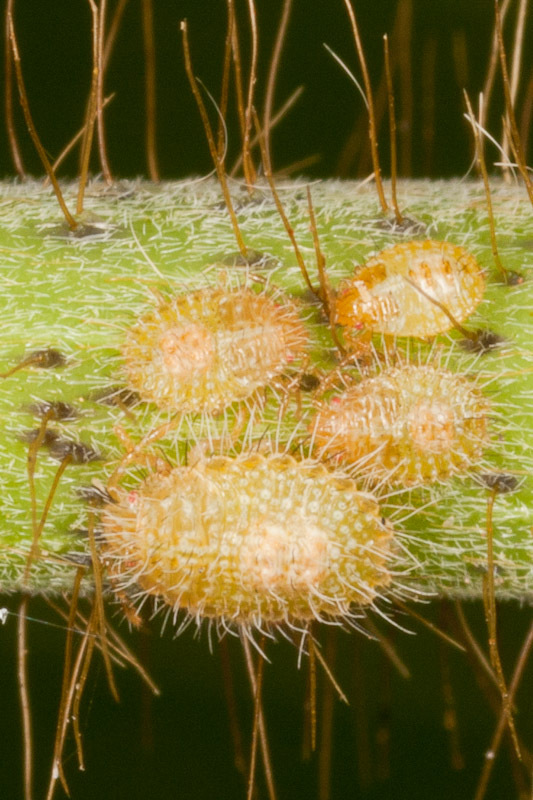 I think the female responsible for the eggs below might have been drunk on kudzu wine. Note those dark spots at the base of some of the eggs. These are packets of symbiotic gut bacteria provided by the mother that the newborns consume. 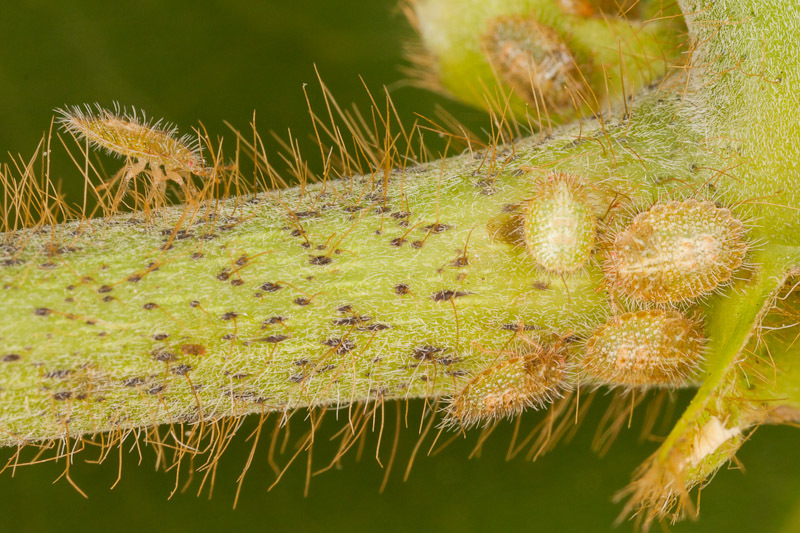 Apparently the bacteria are host specific, so the ones here will help the bugs digest kudzu specifically. 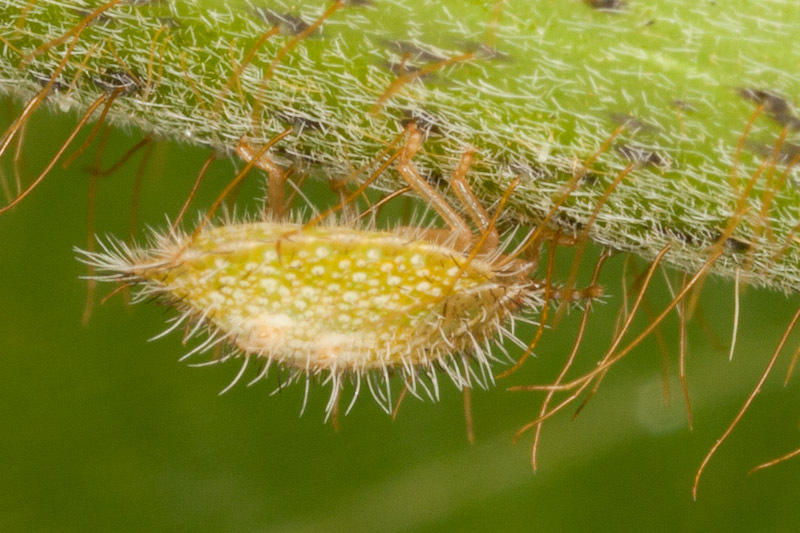 In the images below, you can see groups of nymphs from various instars feeding together. The sexes are slightly different. In general, the males are slightly smaller than the females. You have to check the undersides to really tell them apart. The females are lighter on the underside of all abdominal segments, whereas only the first few abdominal segments are lighter in the males. The genitalia are also easily visible. The male’s are roundish and the female’s are more triangular. Even in captivity, they weren’t shy. 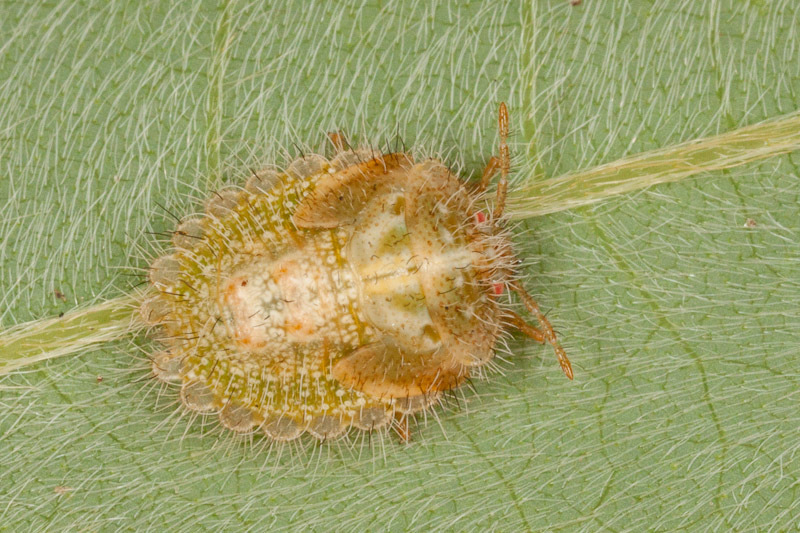 I saw lots of lacewing eggs, like the one below. I never saw any actual predation though. Those kudzu vines look like some kind of scary topiaries. They remind me of some of the characters of “Where the Wild Things Are”. Scary indeed! 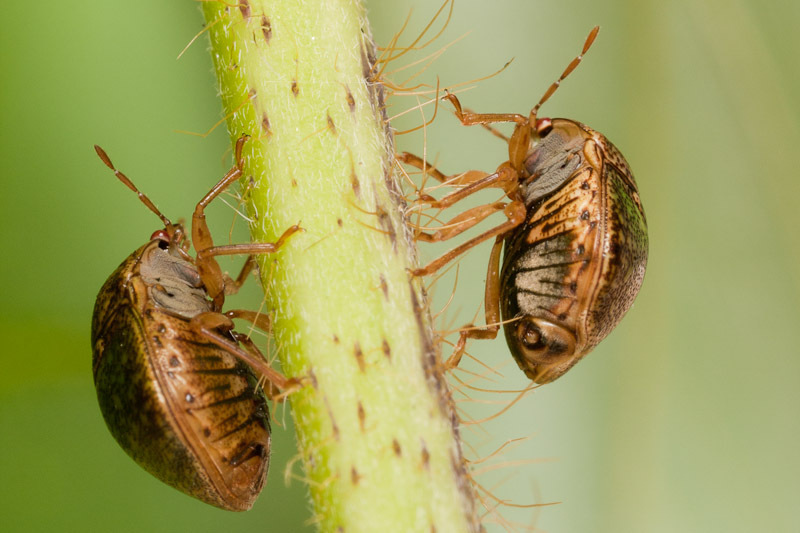 Pingback: Lablab Bugs invade home in Georgia | What's That Bug? 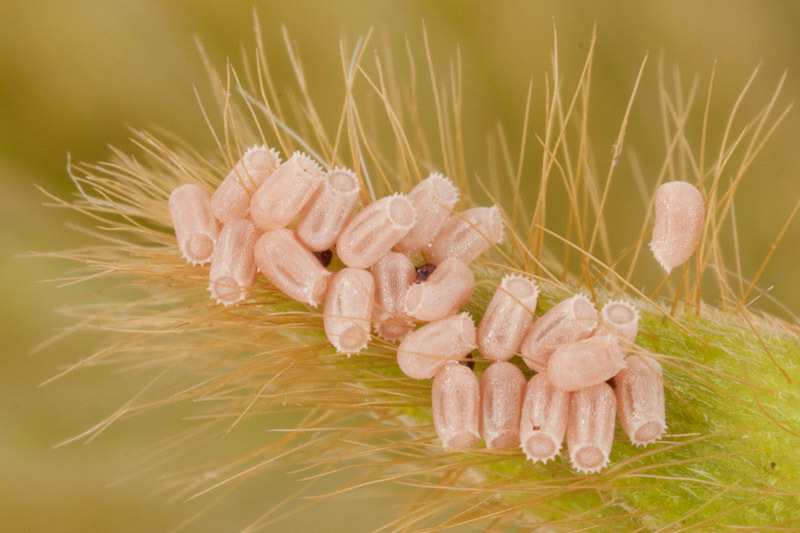 This will be the next big insect pest, wait & see. I noticed these bugs all over my Mini Dwarf Peach Tree this morning and looked up to see them all over the side of my condo located in Mooresville, NC. 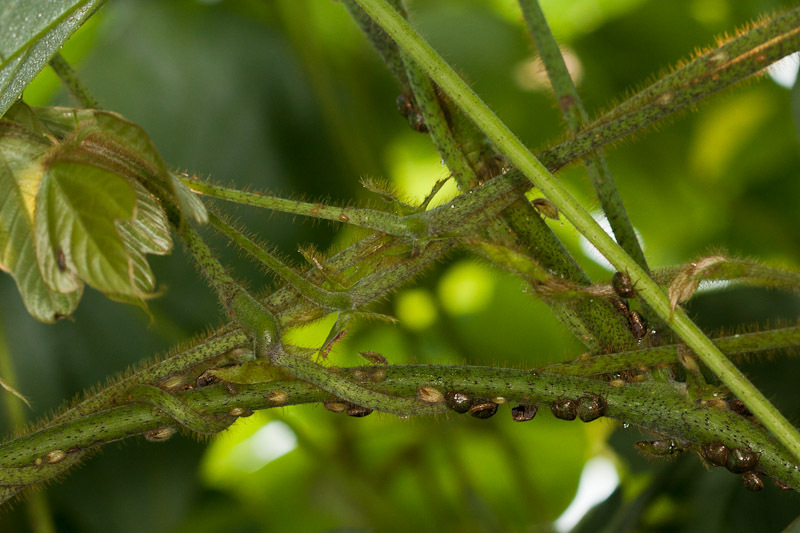 Our Kudzu has not yet leafed out so I’m guessing these bugs are patiently waiting for their feast… yuck. 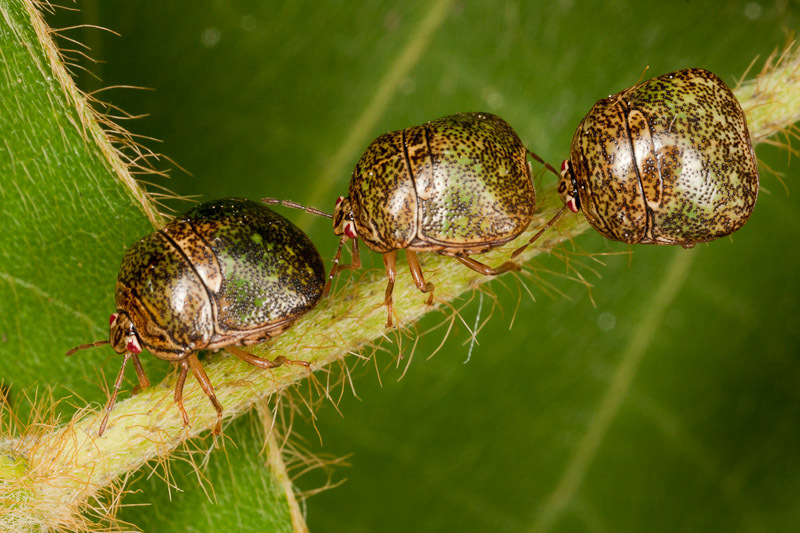 Thank you much for all the info and pics of the kudzu bug and its lifecycle. Two weeks ago I saw a sprinkling of them in my vegetable garden on Tybee Island GA. I routinely spray a mixture of 3 Tbsp neem oil and 1 Tbsp Murphy’s oil soap to a gallon of water every 7 – 10 days. it seems to be controlling them as I’ve not seen any eggs or nymphs. Great post–I missed this one way back. They are making the news now in my area because they have become more predominant in North Carolina. 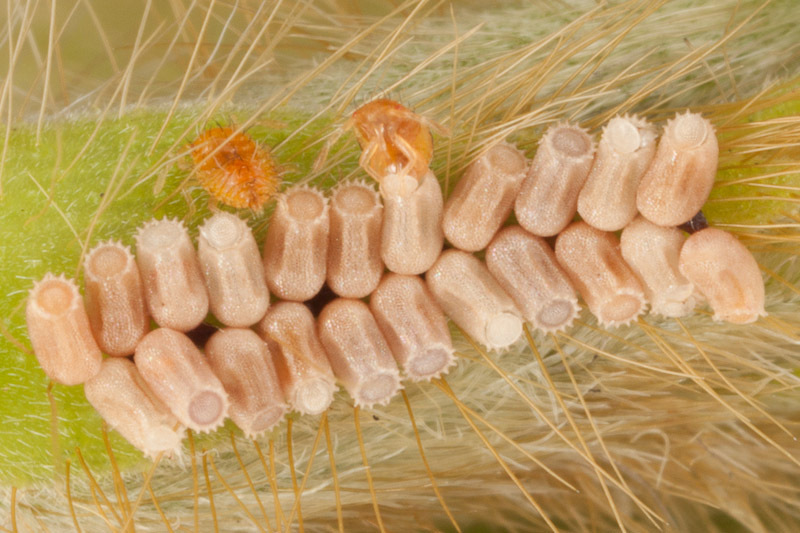 Too bad they are a soybean pest, too. 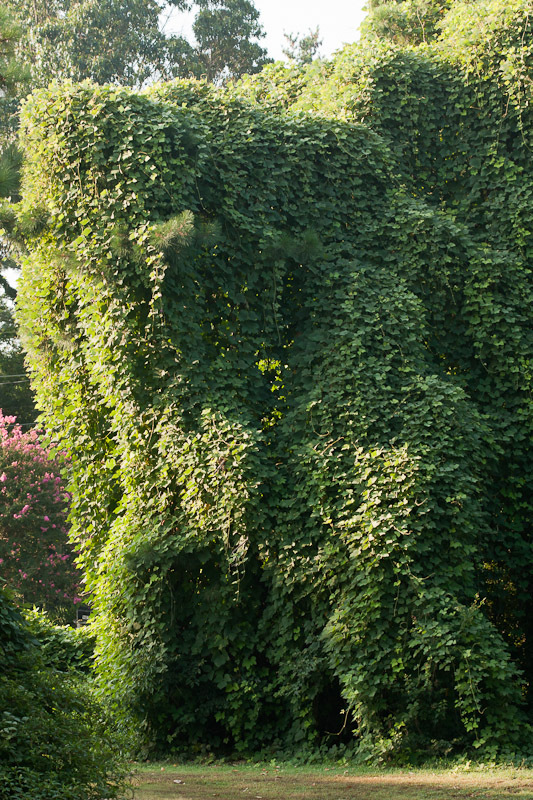 We can all root for them doing some damage to kudzu!